Published: Sep 19, 2017 to ? 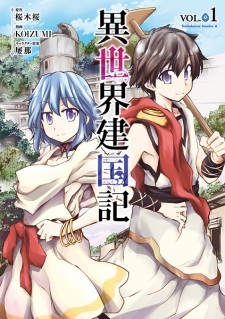 I would say it's a nice change from the usual hero/adventure style Isekai manga where the focus is on battle/adventure/saving the world or 'not so serious story' like reincarnate as an Onsen or a Spider. This manga focus more on politics, village building, like 90% politics 10% fighting. The protagonist have the usual 'convenient' power up but it doesn't feel OP...because it's politics...and they are not AI. Since the story is focus a LOT on politics, it have a solid world structure and political structure, to the point I don't understand some part of it. You have war here and there, war in distant land, backstage political maneuvering, genetics heredity, etc. Also the politics become much more complicated later on, as I currently read(chapter 20) the politics is pretty simple, but my gooooddd... in the late game... the raw light novel already finished at chapter 305 and 115 for the translated one... even at chapter 90 the politics is already soooo confusing that head wants to explode. Want to give it 8 but since the I can't understand medieval era politics make it 7/10.